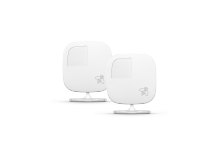 ecobee3’s Frost Control feature uses your connected humidifier to prevent condensation on your windows. During the winter, moisture can build up from condensation on your windows. This can cause them to freeze and crack your window casings, which could lead to rot when it warms up. This will impact the energy efficiency of your home, and ecobee wants to help protect you against this issue. By using the Optimal Humidity features on your ecobee3, you can prevent damage caused by moisture build up during the colder months. This feature is available if you have a humidifier installed and automatically maintains proper humidity levels to keep you feeling comfortable and prevents condensation and frost on your windows. When configuring the humidity settings, you can enable Window Efficiency and Frost Control. The Frost Control feature uses our Window Efficiency algorithm to prevent condensation on windows. This algorithm determines how efficient your windows are at maintaining your preferred temperature and humidity levels by factoring in how quickly the temperature and humidity levels change after the equipment has stopped running. Within Window Efficiency, you can tell your ecobee3 how efficient your windows are (on a scale from 1-7, 1 being inefficient, old and drafty, 7 being brand new energy efficient windows). The algorithm will then consider this along with the indoor and outdoor temperature to determine the ideal humidity level for your home. This will help prevent excess moisture in the air. To enable Frost Control and to adjust the humidity setpoint on your thermostat or mobile app. Tap Main Menu > System > Humidifier. To enable Frost Control and to adjust the humidity setpoint on the Web Portal, select System Tile > Humidity. 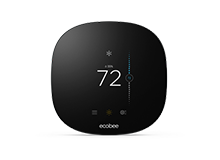 To configure Window Efficiency on your thermostat tap Main Menu > Settings > Installation Settings > Equipment > Humidifier. To determine the efficiency of your windows on a scale of 1-7, factor in age, if you have weather stripping, and whether they are energy efficient windows. The older the windows are the lower the number will be. If you don’t have weather stripping or energy efficient windows, the number will also be lower. A rating of 7 would be brand new, energy efficient windows installed with weather stripping. A rating of 1 would be 10+ years old windows, with no weather stripping from which you can feel the temperature outside when your hands are close to the window. 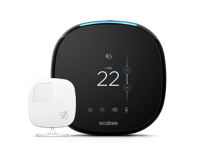 ecobee3 wins coveted PCMag Editors’ Choice Award!